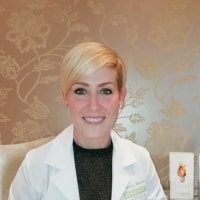 Dr Dominique Myburgh is a general practitioner with a special interest in aesthetic, anti-ageing and cosmetic medicine. She graduated from the University of Pretoria with the degree Bachelor of Medicine and Surgery in 2004. Thereafter she completed her internship in 2005 and her community service in 2006. In 2007 she decided to stay on in the public sector and worked as a senior medical officer in the Family Medicine and Accident/Emergency department. In 2008 she decided to move into private practice and worked as a General Practitioner. 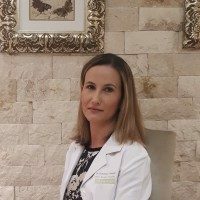 During the years, she developed a special interest in dermatology and aesthetics and completed various courses in aesthetic medicine. In 2009 she started working at the Aesthetics Centre, Johannesburg. There she gained a vast amount of experience and knowledge in aesthetic procedures and injectables, under the guidance and supervision of Dr Jennifer Irvine. In 2011 she started working at The Bay Skin Care Institute, Camps Bay. Here she worked as the sole doctor performing mostly injectable treatments. It was here that she was granted the opportunity to train other doctors on Botulinum Toxin and Dermal Filler injections. She has since started at the Renewal Institute and consults from the Cape Quarter, Claremont and Constantia branches in the Western Cape.